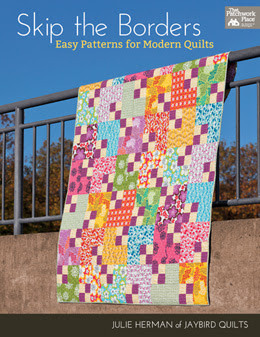 I'm off to the airport to head to Sisters Oregon to teach for the next week. 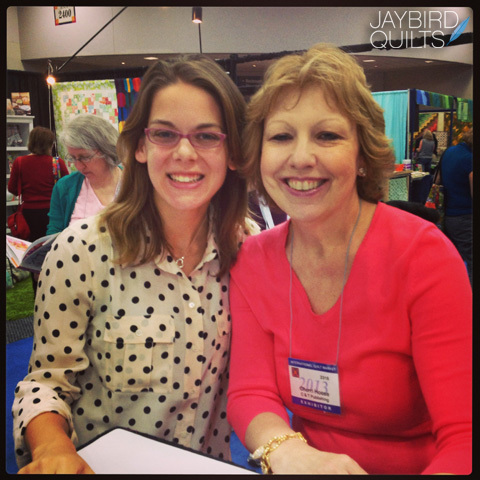 I have a few blog posts scheduled for you while I'm gone. 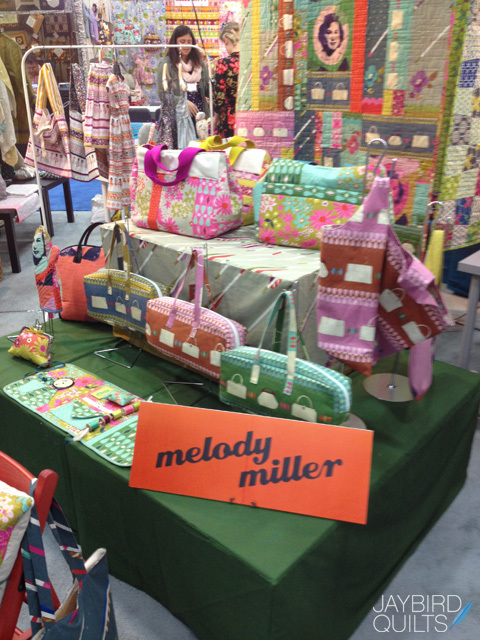 To keep up with my live posts from the show follow along via Facebook or Instagram. 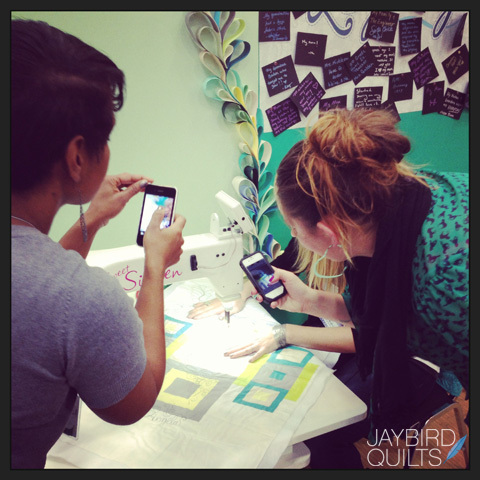 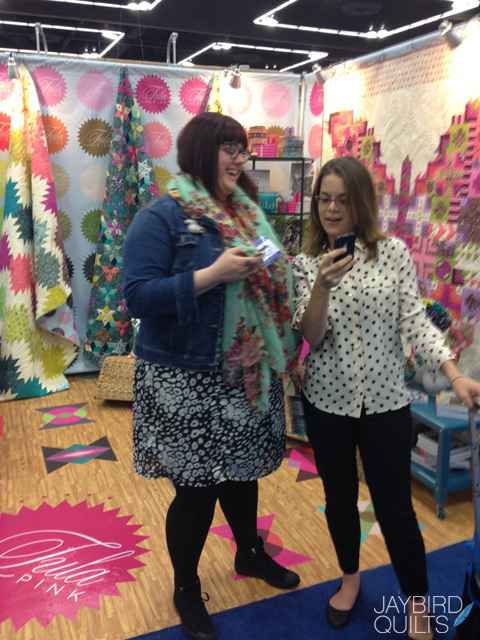 Looking at social media with Tula Pink. 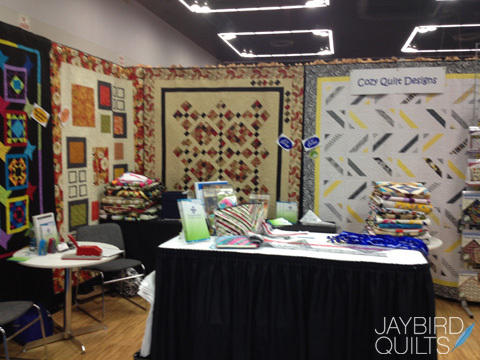 Angela Walters doing quilting demons in her booth. 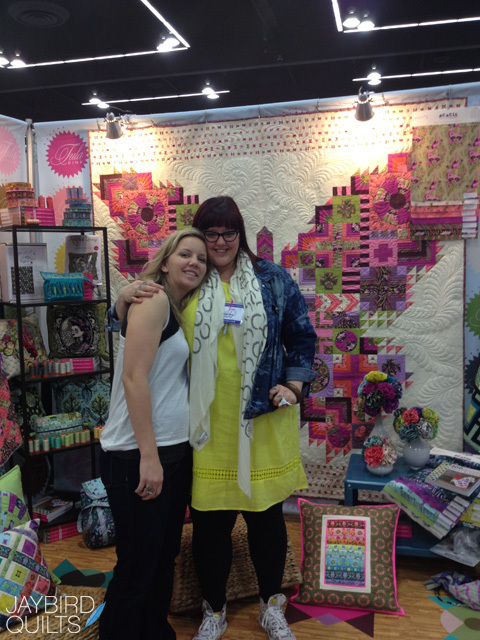 Susan of the Village Quilter in NJ. 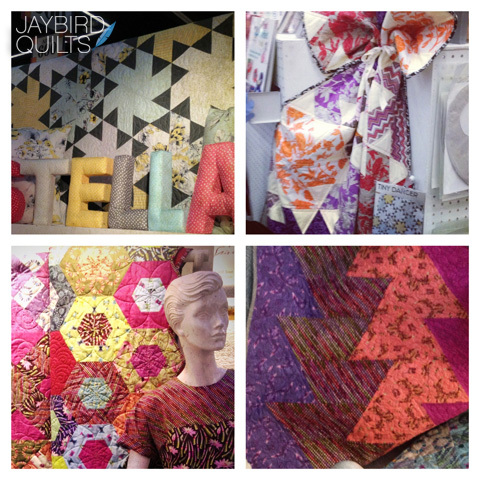 I miss my local shop!! 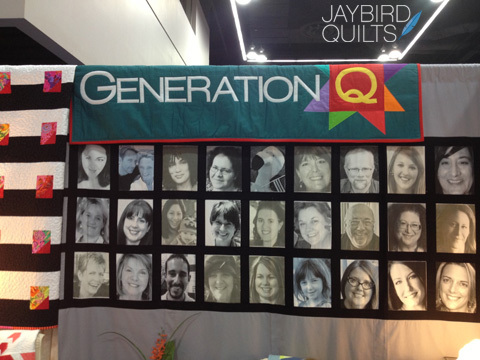 GenQ's wall of faces... of course I took a photo of the wall that didn't have my face! 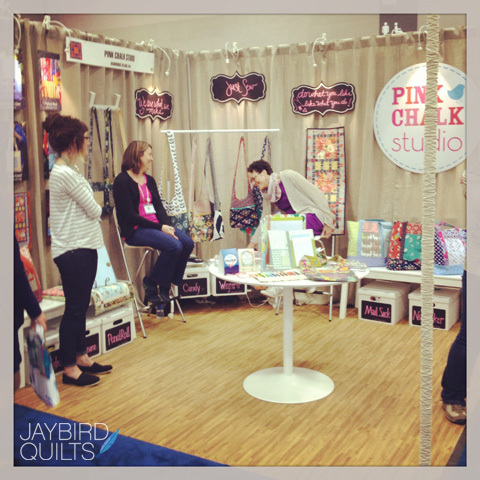 Hanging out with Elyse from Freespirit in Tula Pink's booth. 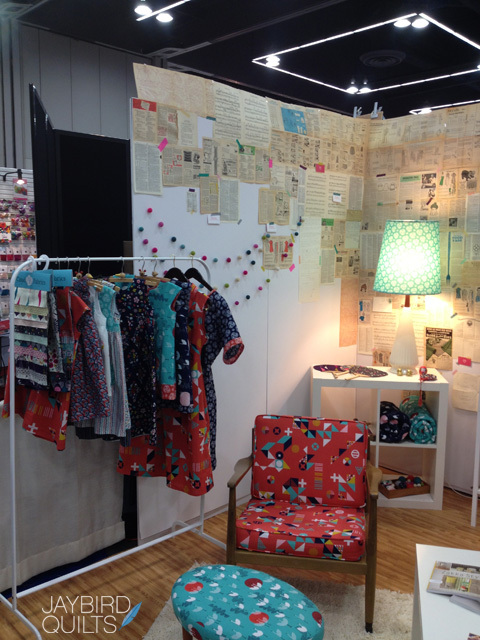 I'm rocking a dress I made from The Staple Dress pattern by April Rhodes. 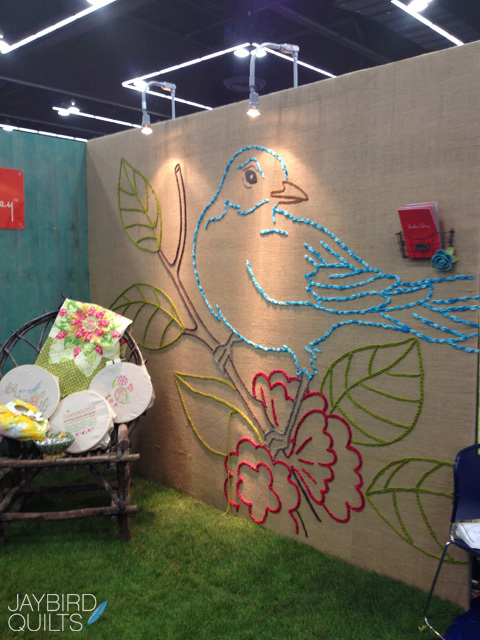 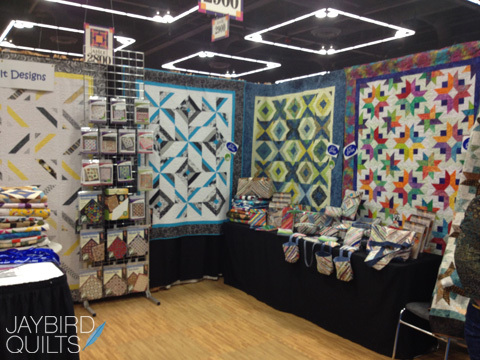 Market was in Portland... so Heather Bailey "Put a bird on it!" 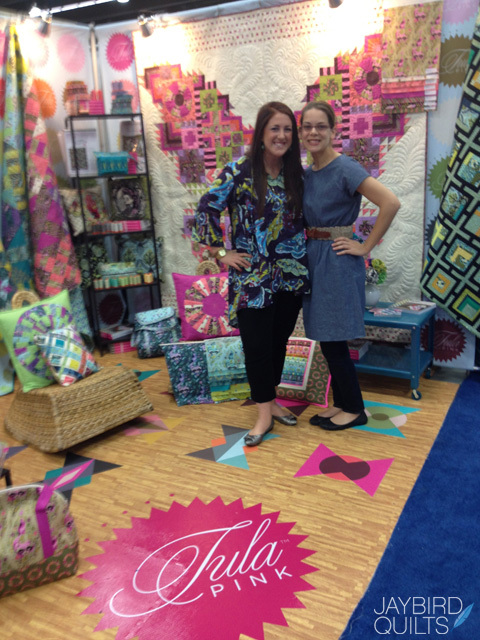 Angela Walters & Tula Pink I owe so much to this unstoppable duo. 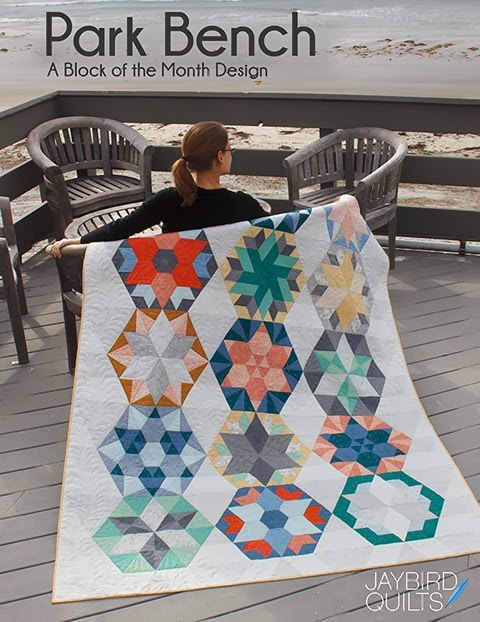 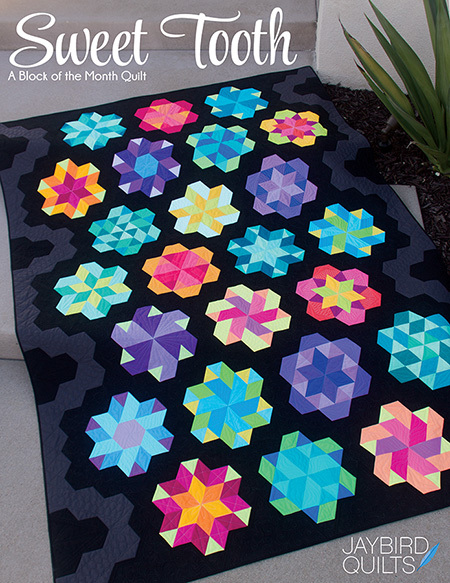 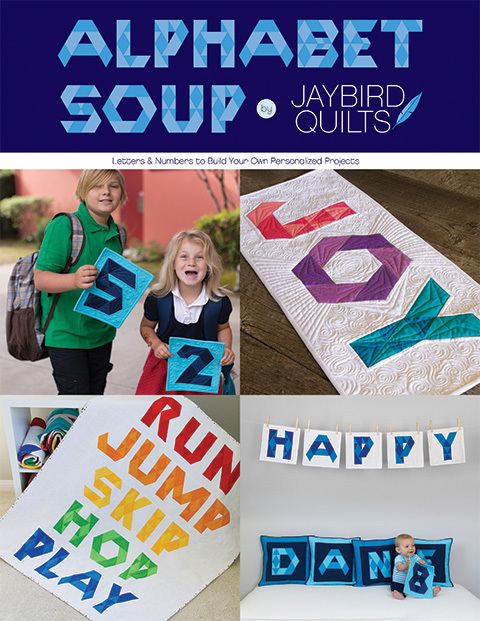 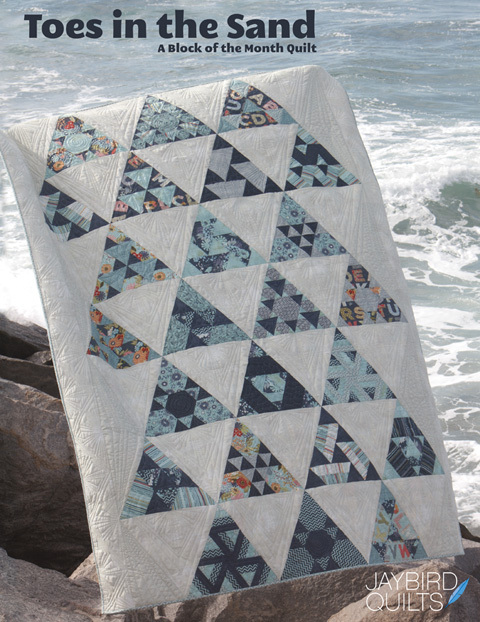 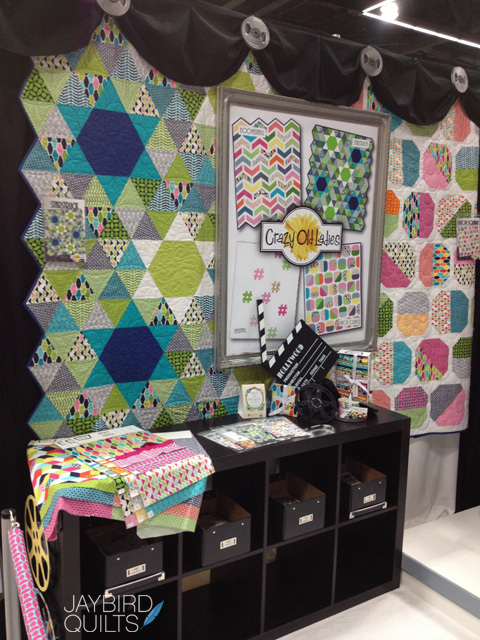 Cozy Quilt Designs - One of my SoCal local quilt shops. 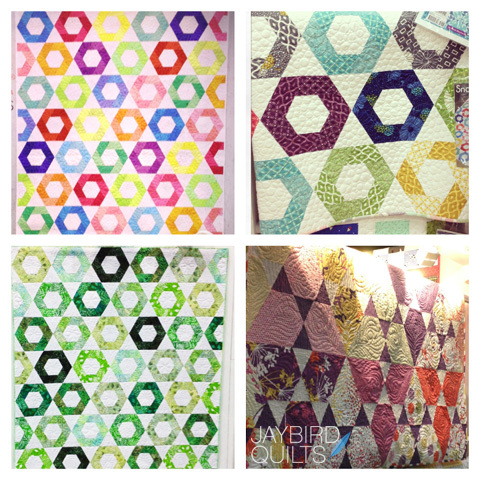 Two collages of the 8 quilts I had at Quilt Market. 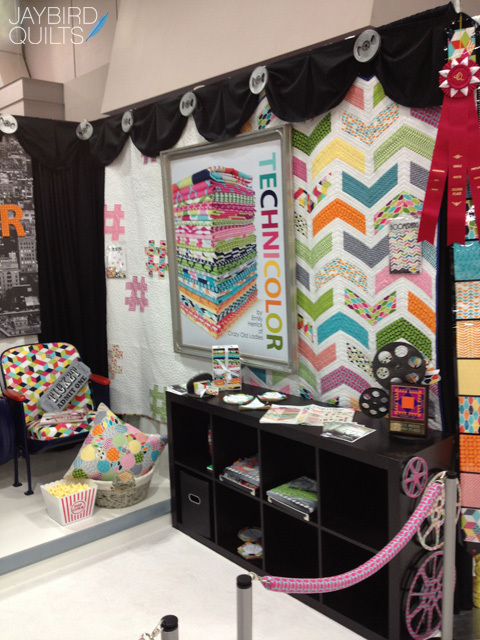 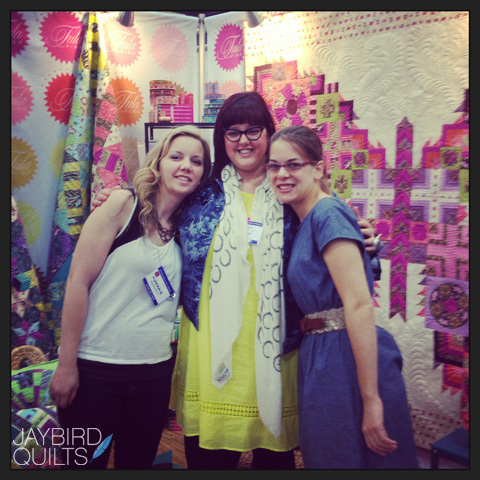 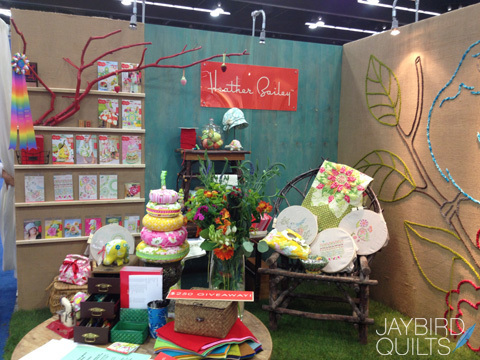 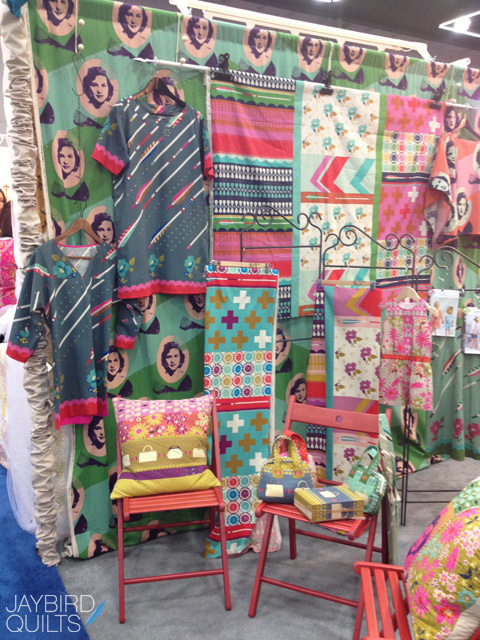 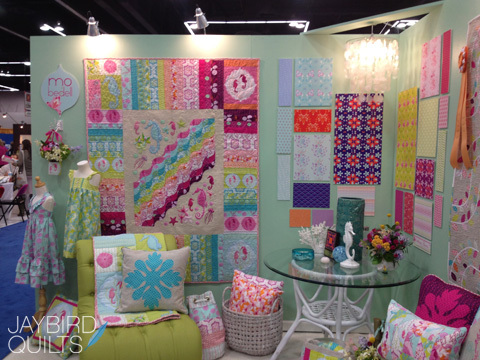 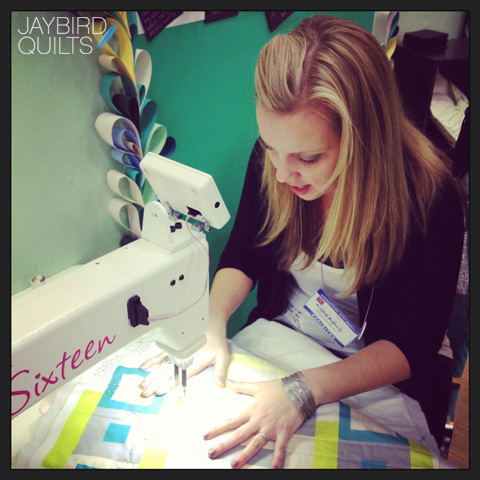 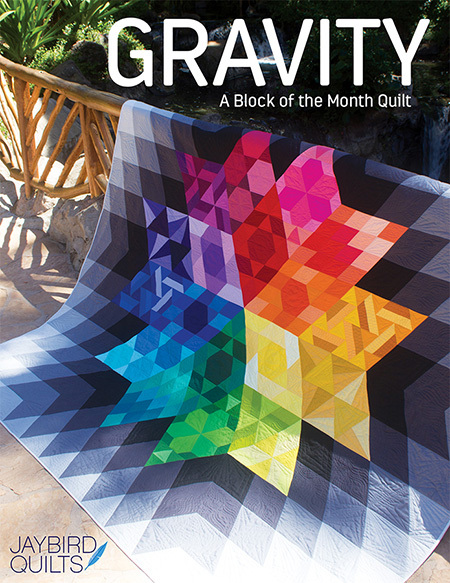 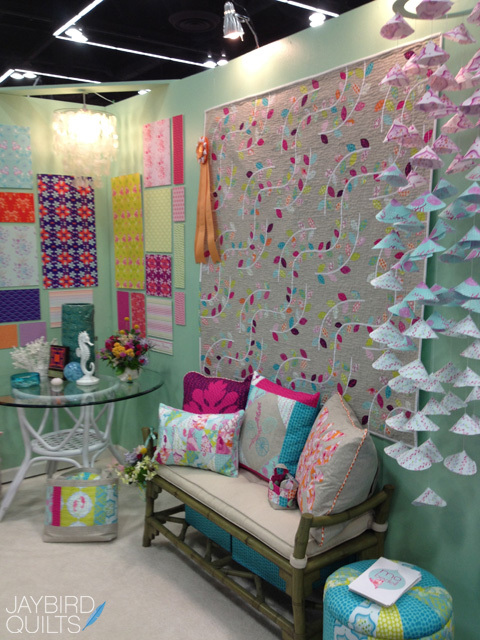 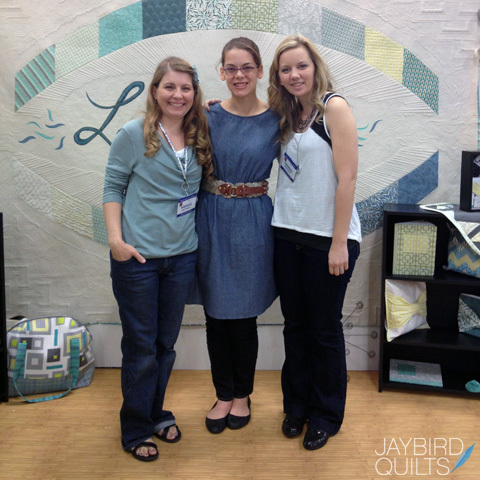 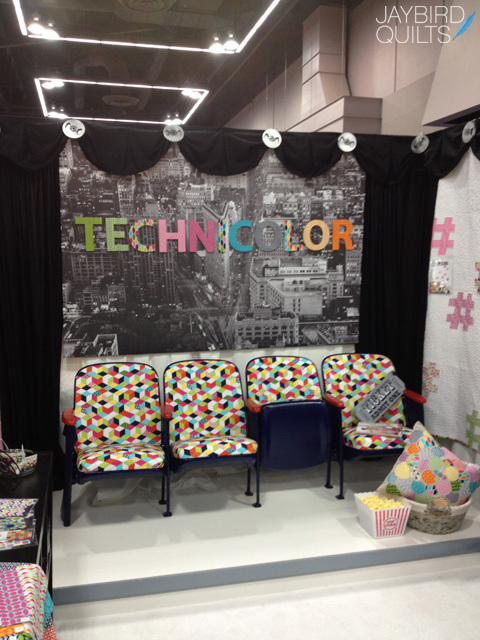 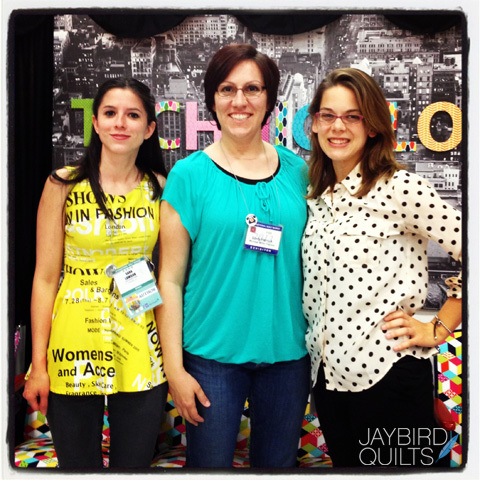 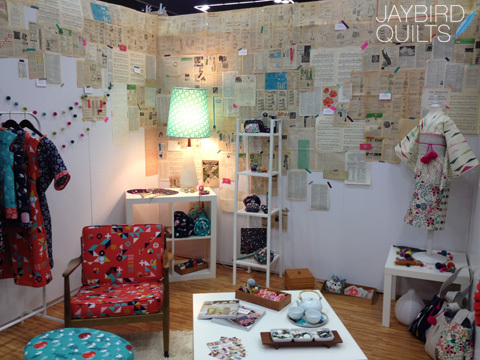 Thanks for sharing all of the booth photos - so fabulous to see them and I adore the patterns and quilts that you make. 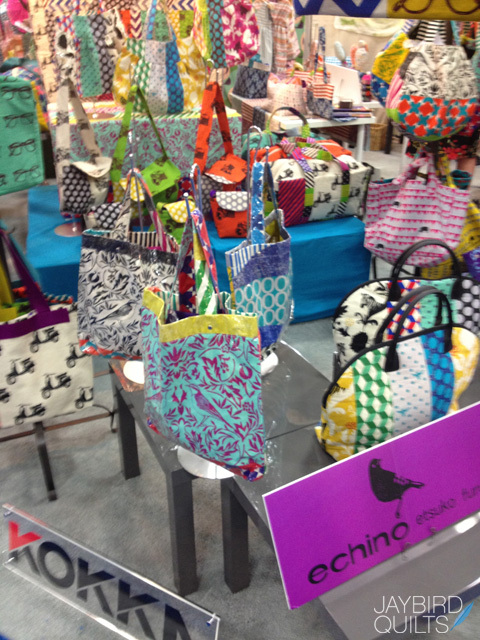 Oh wow looks so fun bright and filled with greatness. 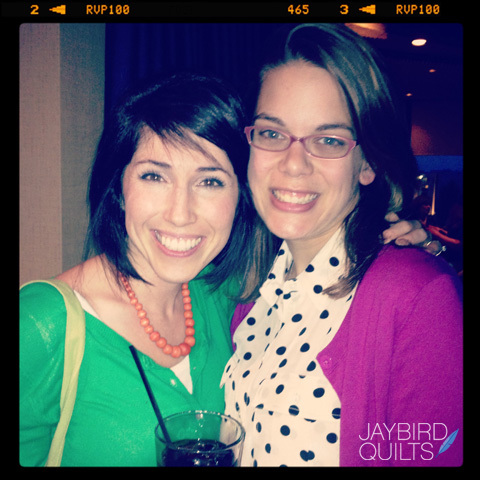 awww- love the pic of us Julie! 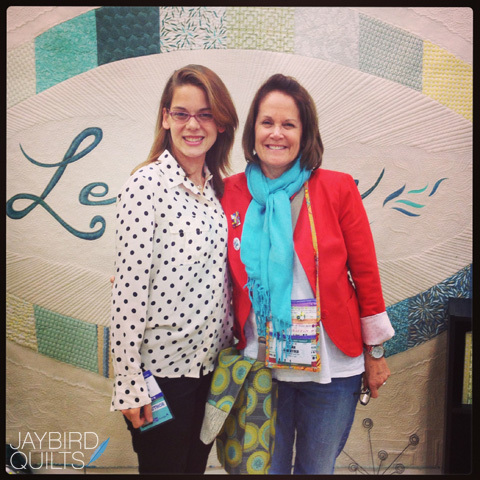 Thanks for sharing and have a great trip!